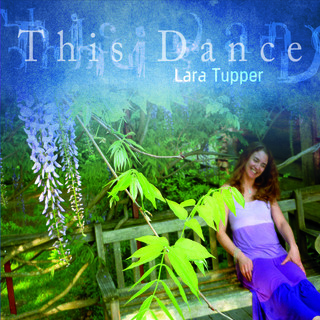 Lara Tupper - music: Lara T.
This Dance, Lara's first full-length album, a tribute to her favorite jazz and pop songs. Now available from CD Baby, iTunes and Bull Moose Music, Brunswick, Maine (best record store ever). I'm in stock at Bull Moose Music! Friday, April 12, 2019, 7:00 pm: I'll sing with the BSweet Band as they open for Commander Cody @ The Stationery Factory, 63 Flansburg Ave, Dalton, MA, (413) 329-5499.Tickets: $22/$25 Cool video snippet here! Sunday, April 28, 2019, 11:00 am- 2:00 pm: Musical brunch with Bobby Sweet (guitar and vocals) and Lara Tupper (vocals). Harmonies and crepes galore! Saturday, June 8, 2019, 7:30-10:30 pm: jazz and pop with Rob Kelly (piano). $15.00 minimum (per person) on food and beverage encouraged. Friday, June 21, 2019, 7:30-10:30 pm: folk and pop with bobby sweet (guitar and vocals). bobby's original songs and lara's folk/pop favorites. $15.00 minimum (per person) on food and beverage encouraged. 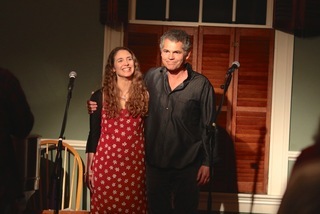 Thursday, June 27, 2019, 7:30 - 10:30 pm: bobby sweet and lara tupper present a mix of bobby's original tunes and lara's folk/pop favorites. 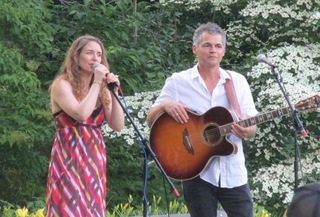 Saturday, July 6, 2019, 7:30-9:00 pm - bobby sweet and lara tupper present a mix of bobby's original tunes and lara's folk/pop favorites. for registered kripalu guests. Friday, July 12, 2019: 8:30-11:30 pm: bobby sweet and lara tupper present a mix of bobby's original tunes and lara's folk/pop favorites. sunday, august 4, 2019, 11:00 am - 2:00 pm: musical brunch with bobby sweet (guitar and vocals) and lara tupper (vocals). harmonies and crepes galore! Wednesday, July 24, 2019, 6:30-8:00 pm: Bobby's tunes and Lara's faves in the park on Main Street, Lenox. FREE. BYO blanket. In case of rain, concert will be held in the Lenox Town Hall on Walker Street. friday, august 23, 2019, 7:30-10:30 pm: folk and pop with bobby sweet (guitar and vocals). bobby's original songs and lara's folk/pop favorites. $15.00 minimum (per person) on food and beverage encouraged. Friday, September 20, 2019, 6:30 pm: Bobby Sweet and Lara Tupper. Bobby's tunes and Lara's faves in this intimate room. Suggested donations at the door. "Meet Lara Tupper of Western Massachusetts." lara and bobby at 6OTS: "Tupper has performed all over the world. Her candlelit, sultry voice evokes Joni Mitchell and Norah Jones, having a base in jazz and pop and drifting to folk. 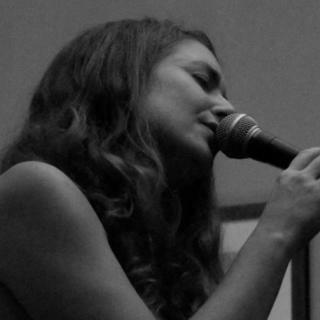 Her subtle nuances, both melodic and sung, pull you into each song." chocolate church concert, bath, maine-- with the wonderful Burns Sisters! "Vocalist Lara Tupper and guitarist/vocalist Bobby Sweet present spirited interpretations of folk and pop standards mixed with Bobby's original compositions - all with rich harmonies." Celebrate the history of our town with food, songs and and community storytelling. 7:00 pm: A hometown gig! Come celebrate the release of Lara’s first full length album, This Dance, and the release of Bobby’s seventh album, All These Changes. 7:30: CD Release Party! Come celebrate lara's first full-length album, This Dance, a tribute to her favorite jazz and pop tunes. Featuring Bobby Sweet, Rob Kelly, Benny Kohn and the Beeline Ramblers (Fran and Lisa Mandeville). 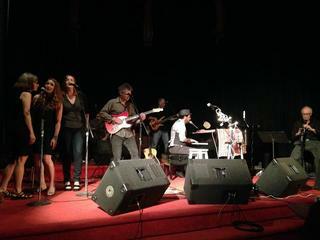 6:30: Bobby Sweet and Lara Tupper performing a mix Bobby's originals and Lara's folk/pop favorites. Sunday, June 11, 2017: Bobby Sweet's cd release party @ the Colonial Theater! 7:30 pm--Bobby and I open for the fantabulous Burns Sisters! 6:30-8:00 pm. bobby sweet and lara tupper performing a mix bobby's originals and some folk/pop renditions. 7:00 pm: Prose and songs with the Beeline Ramblers! Lara reads new fiction and sings a few folk/pop favorites, accompanied by Fran and Lisa Mandeville. 2:00 pm: We're opening for the fabulous Burns Sisters! Boothbay Harbor, Maine - a hometown gig! Kripalu Center for Yoga and Health. Get your "Hotel California" on. Brand new set. I am an official friend of Jesse Luke.